​Breizh-Amerika in Breton language means Brittany-America (UNESCO lists Breton language as severely endangered). The Breizh Amerika Collective will be touring in the USA this May visiting Chicago and Louisiana in celebration of Fête de la Bretagne. The 2017 edition, inspired by the Beat Generation, an American literary movement linked to jazz, its subculture and the spirit of "on the road" sprung out of the encounters of writers Williams Burroughs, Allen Ginsberg, and Jack Kerouac. The Beat Generation known for rejecting standard narration modes, favoring spontaneous expression, open-mindedness, and liberty. During this upcoming USA Tour the Collective will again push the boundaries of breton music form through collaboration and exchange while exploring the music and writings of the Beat Generation. trombonist/composer Alex Asher is quickly making a name for himself in New York City. ​Alex leads People’s Champs, a seven-piece band mixing experimental rock with African and Latin beats. People’s Champs have performed all over NYC both at underground parties in Brooklyn as well as at The MoMA and The Guggenheim. Look out for People’s Champs first full-length record debuting in 2014. Alex also co-leads The Superpower Horns, the recording studio horn section of pop star Beyoncé Knowles. They wrote and arranged the horns lines on Grammy-award winning songs from Beyoncé’s 2011 album ’4′ as well as her 2013 release ‘Beyoncé’. 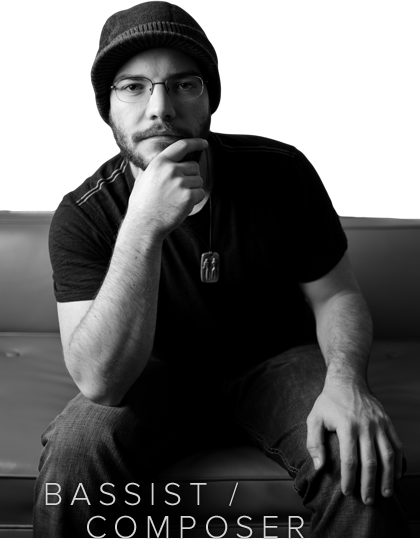 Alex and The Superpower Horns are also a house horn section for legendary Roc-a-Fella Records, and have collaborated with many of Hip Hop’s finest, including Curren$y, Jean Grae, Mos Def, Devin the Dude and notable producer Ski Beatz. Alex has toured throughout the United States and Europe, performing in Germany, France, the UK, The Netherlands, including the North Sea Jazz Festival; and the Montreux Jazz Festival, Montreux, Switzerland. 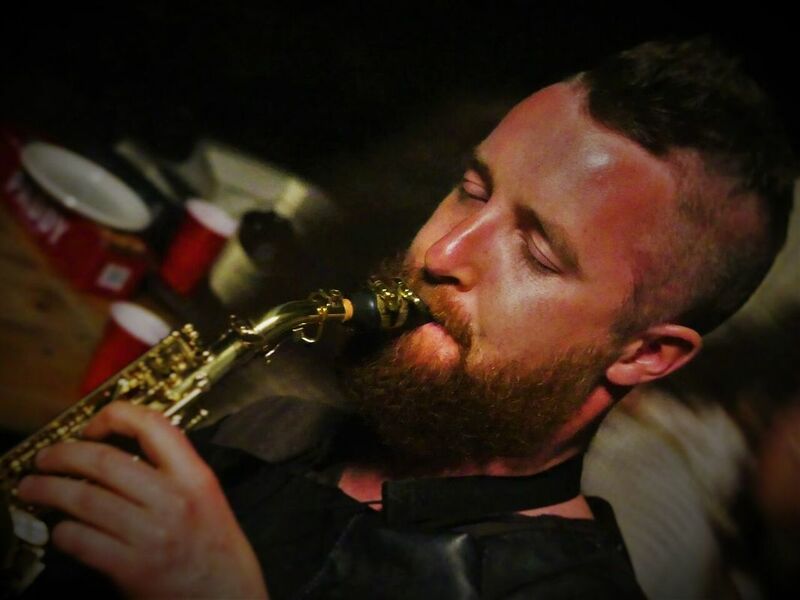 He has also performed at traditional Irish jam sessions throughout Ireland, jammed with Roma brass musicians in rural Serbia and marched at Carnival in Rio de Janeiro, Brazil. Musician for over 20 years, Simon Creachcadec is a multi-instrumentalist (saxophone, clarinet and bombarde) known for his innovative nature when interpreting traditional breton music. Born and raised in Plougastel in western Brittany, at a young age he integrated the local dance (Bleuniou Sivi) and pipe band (Bagad Plougastell) making him over many years a complete performer and breton dance and music tradition expert. Simon studies jazz and incorporates it into his musical projects. He was selected to play with the Bagad de Lann Bihoué which is one of the most prestigious breton pipe bands, known world-wide. He has performed in over 300 concerts over 3 years both in France and abroad (USA, Norway, Spain, Swiss, Belgium). He can very often be found on festoù noz stages across Brittany playing with his band Trio Tan. ​Passionate about Breton music from a young age, Tanguy Soubigou started by learning the bombard at 9 years old with his father. Finally choosing the diatonic accordion, learning from Christian Denos, and performing at Fest Noz's at the age of 15 years. Thomas Moisson is considered one of the most talented accordionists of his generation. He grew up performing early on for the demanding Celtic dance groups of Brittany, where he was noticed because of mature style despite his young age. Winner from 1998-2010, of more than twenty of the most prestigious traditional Breton music competitions, confirming his musical qualities and development, while using his mixed accordion (diatonic and chromatic), and an incisive style which earned him immediate acceptance of the professional community and the public. Often asked to perform in concerts and festivals around the world, he has impressed many with his ability to integrate and promote innovative musical projects and participate in numerous musical creations and collaborations (United States, Morocco, Romania, Ireland, UK, Spain, Brittany …). Omnipresent in the Fest Noz circuit across Brittany, he has accumulated multiply diverse collaborations (Breizh Amerika Collective, Glaz Road, Red Cardell, [R] evolutions with Erik Marchand ...). His expressiveness and technical mastery have made Thomas Moisson a reference in Europe's traditional and world music landscape. Trey Boudreux, born 1987 into the rich culture of Lafayette, Louisiana, the heart of the unique region known as Acadiana. Promptly taught Cajun dance forms by elders. Raised with open ears fed by a musician father and music-loving mother; grew up enjoying Bach, Beethoven, Ives, Stravinsky, Ligeti, Schoenberg, Miles Davis, John Coltrane, Louis Armstrong, Keith Jarrett, Joe Lovano, Charles Mingus, The Beatles, Jimi Hendrix, Michael Jackson, and a veritable slew of Motown/Stax-era hits. Enrolled in Louisiana State University to study double bass with virtuoso Yung-Chiao Wei, also studying with Brian Shaw and performing with the Symphony Orchestra and various chamber ensembles. Began playing upright bass and electric bass with local musicians in and around Lafayette, Louisiana and Baton Rouge, LA. While finishing a Literature degree, began spending many nights/weekends in New Orleans building new friendships, musical and otherwise, and began playing in New Orleans more frequently. Earned Literature degree and promptly moved to New Orleans and began performing regularly, establishing a presence in the local scene and touring/recording with a handful of young New Orleans-based projects. Has toured/performed in clubs, stages, cafes, bars, homes, radio stations and concert halls across the United States. nominated release, The Moorings, as well as The Voice of China’s Xu Haixing’s latest record to be released in 2018. 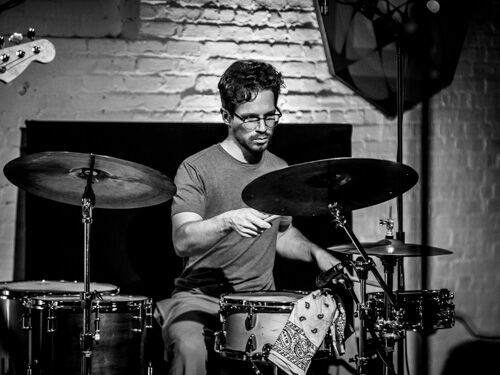 As a clinician, Maxwell has conducted percussion workshops and masterclasses throughout Australia, Asia, and North America, most notably at Berklee College of Music in Boston, Massachusetts. He currently resides between New Orleans, Los Angeles and New England. Keep up with us during our USA Tour!